Look how cute this pup is in his Halloween costume. This October, there will be a new event at Franklin Square. 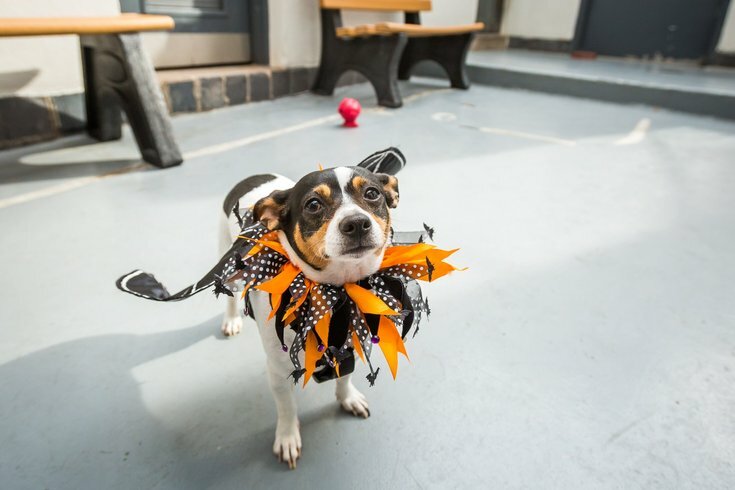 On Saturday, Oct. 13, pets and owners are invited to the Bark-or-Treat Trail, a way for pets to do their own trick-or-treating. Both humans and animals are encouraged to dress in a Halloween costume. Maybe put Fido in this hilarious werewolf costume or this too-cute outfit inspired by Belle from "Beauty and the Beast." At the free event, there will be a trail of treats for pets to sniff out and fun activities throughout the park. The pet-friendly and family-friendly fun will run from 11 a.m. to 1 p.m.
Also this fall, Franklin Square's mini-golf course will once again get a spooky makeover. On Friday, Saturday and Sunday evenings, beginning Friday, Oct. 5, the course will feature cobwebs, fog, lights, music and surprises. After the Bark-or-Treat Trail, maybe head back to the park that night for some friendly competition.